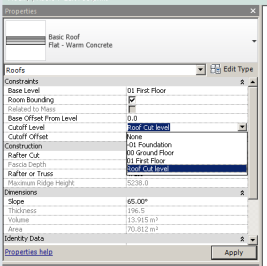 Step 2: Go to your Eaves level floor plan view and sketch in you lower part of your roofs footprint and put in the desired slope. 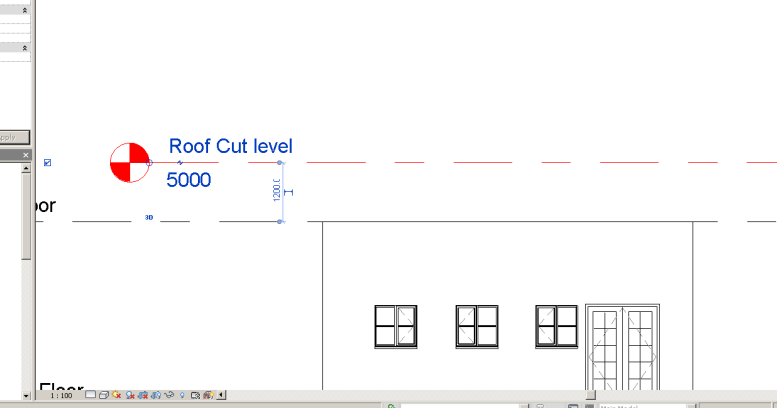 Before you confirm the sketch, in the Properties, click the drop down list for “Cut off level” and choose the level you just placed in the elevation. 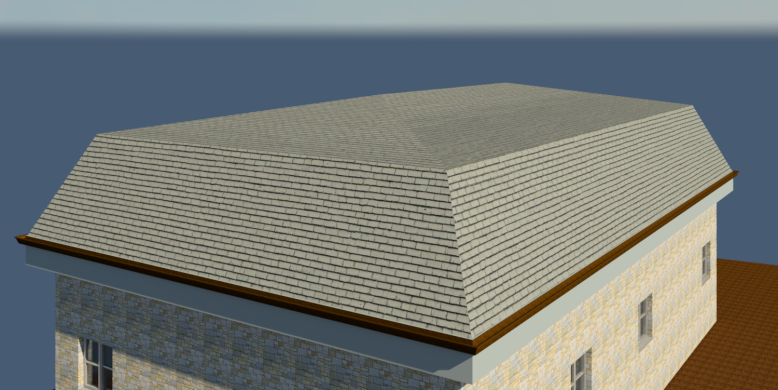 This will cut the roof at that pre-set level height. 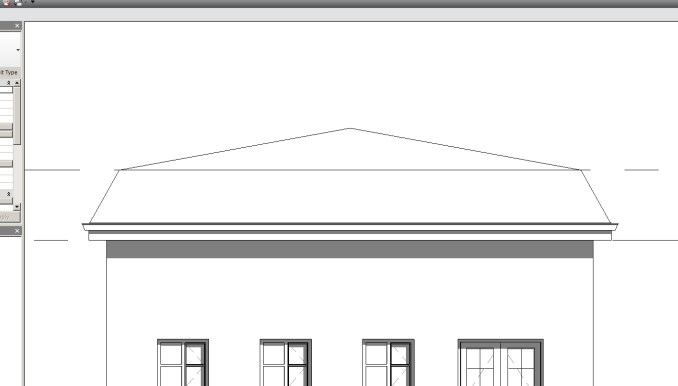 And there you have it, three very simple steps to creating a Multi Pitched/Mansard Roof. This process can be used to do as many changes in pitch/slope as you want, it will just take a bit more time to do.